I forgot about this coat until I gingerly opened my off-season closet this morning. I was judicious and didn’t take out more fall clothes than I need this morning. After all, my actions have been rumored to control the weather. 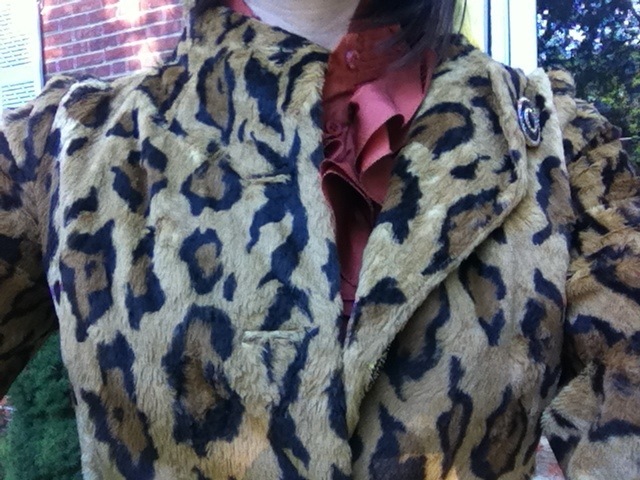 But it is seasonally appropriate for this faux jaguar coat this chilly morning.